Though technically not a guitar, the Tiple is a guitar-like instrument that ranges in size from about as large as a soprano ukulele to slightly larger than the size of a tenor uke. You might see a Tiple on eBay for sale or pictured in a vintage guitar book. Tiples were very popular in the 1920’s through the 1930’s during an era when the ukulele was all the rage. Tiples are still utilized somewhat in Hawaiian music. For the most part the Tiple has been replaced by the eight string Taropatch, a stringed instrument is larger than the ukulele and is tuned to an open G chord. The Taropatch has four courses of strings tuned in unison or in octaves. 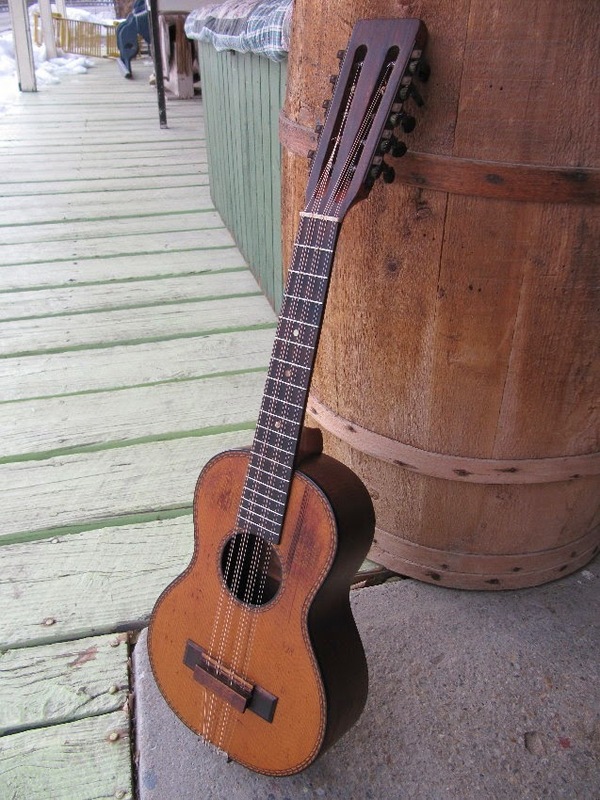 Starting in 1920, Martin made some Tiples during the time period that ukuleles were popular. Production started in the 1920’s and continued for 50 years. 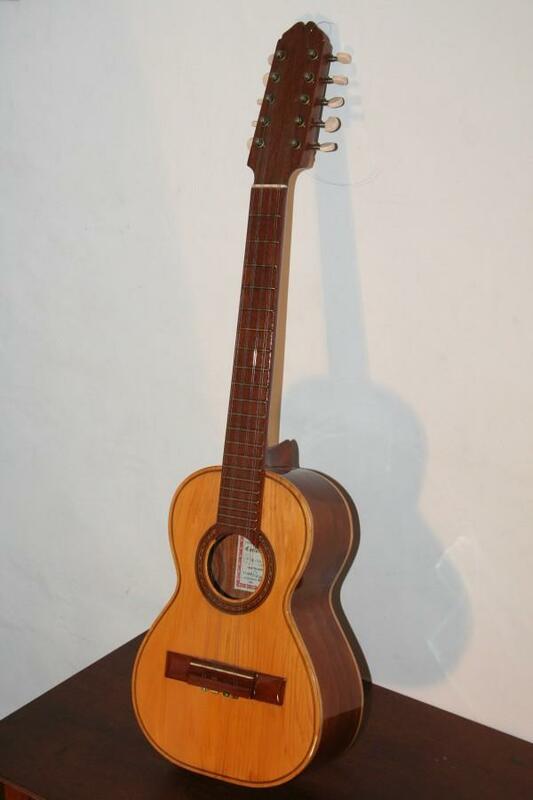 The last Martin Tiple was in the 2000 Martin catalogue. You can also find older Tiples made by the original Washburn company and other domestic manufacturers. Martin’s styles included the T-15, T-17, T-18 and T-28. The size was always the same, but like Martin guitars the embellishments became fancier. The early Tiples had gut strings. As guitar evolved into steel string models, so did the Tiple. Tiple, which is pronounced “Tea – plee” is the Spanish word for soprano. 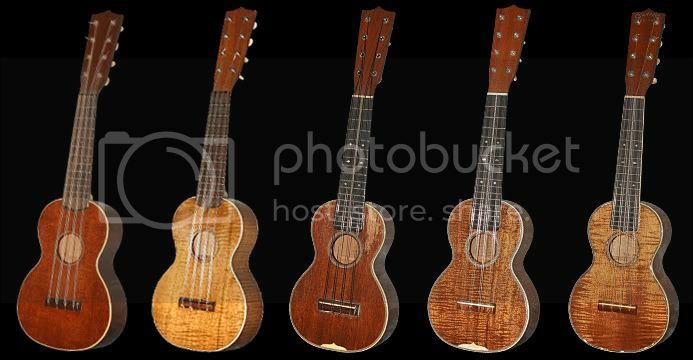 The type of Tiple that is common to the United States is related to the Ukulele family. It is replete with 10 strings that are made up of four courses. 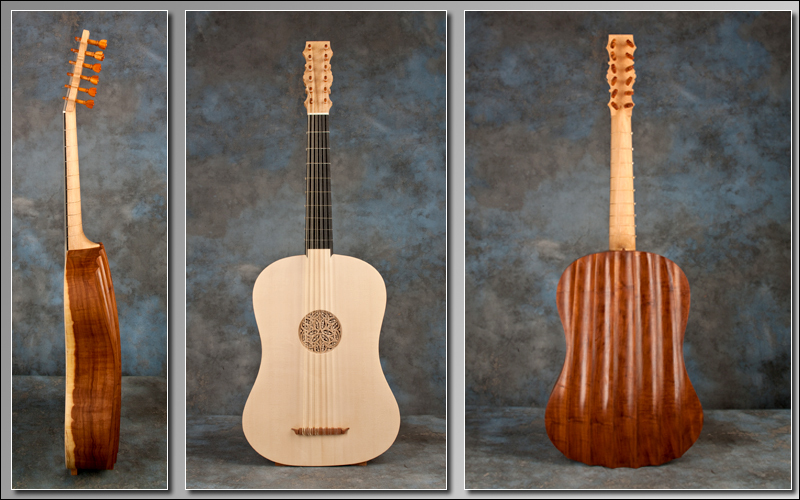 The North American and Hawaiian Tiple are tuned with the same tuning as a Soprano Uke. The first string has two strings of the same size. . The second and third course has three strings each. Of those three strings, the center string is thicker and tuned an octave below the two outer strings, which are the same diameter. The fourth course of two strings are tuned an octave apart. Tiples are indigenous to many South American countries. Depending on which country you are in you will find them to have a variety of tunings and sizes ranging anywhere from 12 to 15 inches in length. The can have from 3 to ten strings. Tiples date back to the 18th century and possibly have evolved from the Spanish gutarrillo or vihuela. There are several other Tiple-like instruments used in Hispanic music such as the Cuatro, the Bordonua and the requinto. Though the Tiples popularity has dwindled through the year, they are definitely unusual and unique stringed instruments. Just found one of these and it will be on eBay soon. The sound of these are amazing. I posted a short video of the instrument on our facebook page - just search Guitar Buyer Guide on Facebook, or go to www.guitarbuyerguide.com and it will forward to the facebook page. Thanks! I just inherited a tiple made about in 1930. I am trying to figure out what type of strings it needs. Guitar Center sold me steel strings but I'm afraid to use them. 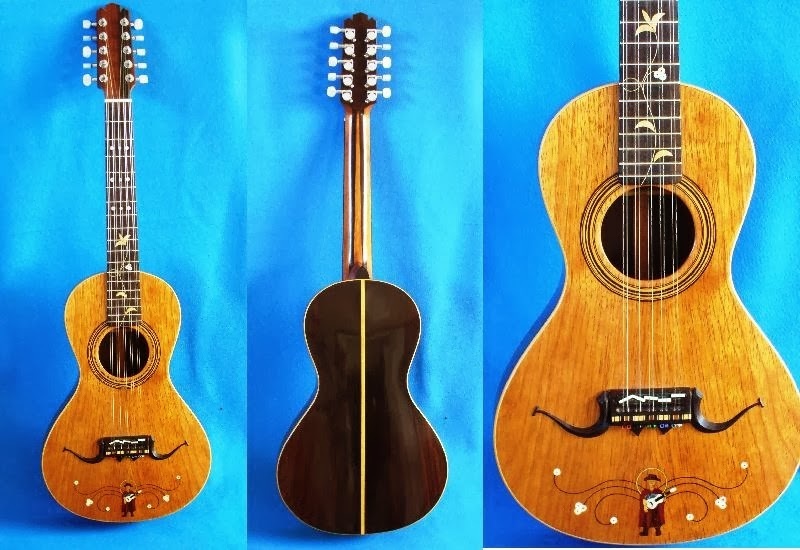 I don't know who made the instrument but it looks very much like a Martin. It has 18 frets and ten strings in three courses. The last bit of info I have is that the grooves on the nut are all the same size. If anyone has any ideas or useful information, I would be very grateful. It may be odd, but some companies still make string sets for these. That's the good news. And yes, they're metal strings, and the tension is high. The neck usually holds up well, but the bridge may be lifting, keep an eye on it when stringing up. That's the bad news with old, high tension stringed instruments. As a tiple player (among other things) I wanted to thank you for your interest in the instrument, and point out a few corrections, if I may. There are, as you say, many instruments called "tiple" not all of them directly related. A lot of what you say relates to the -American- Tiple, which is a ukelele-sized instrument more or less invented by the Martin Guitar Company in the late 19th/early 20th century. This is the tiple with 10 strings: 2-3-3-2. It's considered the national instrument of Columbia, and there are a number of living virtuosos of teh instrument, and many recordings, although you have to order most of them from Columbia. Anyway, that's just my $0.02 -- carry on folks. care you sure they were all the same size? The one he's playing in the video looks larger than my 1928 or he could be a small person. I just bought a tiple made by the Regal Musical Instrument Company of Chicago. 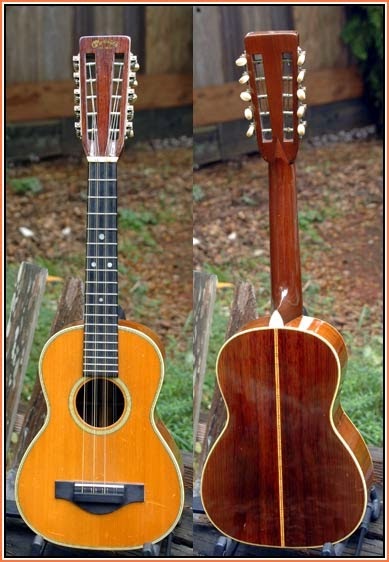 It has a spruce top with large herringbone purfling and rosette , a mahogany back and sides and ebony board and bridge. The bridge has no belly like the Martin instruments pictured here. I have no idea of the age of this instrument. I have it tuned GCEA. Did Regal build many of these? Small correction: "tiple" means treble in Spanish. The term tiple is used all over Hispanic Latin America to describe each nation's unique soprano-range instrument. Although they all derive originally from thei Spanish or Portuguese colonial ancestor, they all derive from one of two Iberic instrument families--the two families being the family of guitar-like accompaniment instruments tuned in fourths with a dropped third with single strings played with the bare fingers; and the family of mandolin-like melody instruments tuned in fourths with double strings played with a pick. So yes, tiples are indeed small "guitars." But some of the instruments listed here as "tiples" are not tiples, i.e, the Puerto Rican bordonua and Chilean guitarron, which are actually bass instruments or large "guitars."